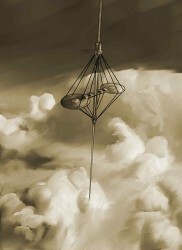 A launch loop (also known as a Lofstrom loop) is a proposed design for a very efficient non-rocket spacelaunch method. 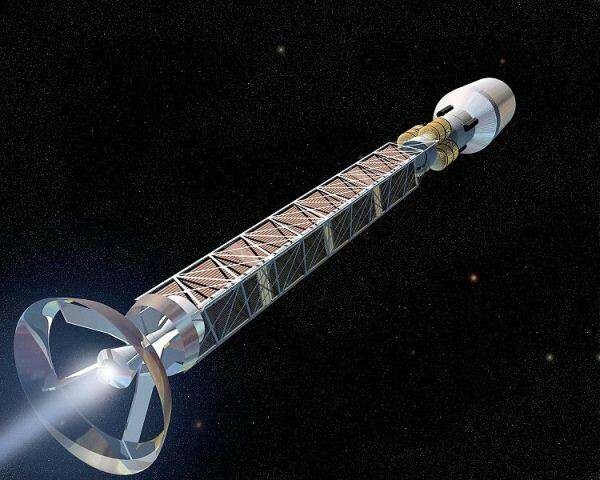 It is a much simpler concept than the space elevator, but still more complex than tether propulsion systems such as the rotovator. The launch loop concept was first described by Keith Lofstrom in November 1981 Reader’s Forum of the American Astronautical Society newsletter, and in the August 1982 L5 News. Another pioneer of the concept was Paul Birch. In 1982 he published a series of papers in the Journal of the British Interplanetary Society which described orbital rings and described a form of launch loop which he called Partial Orbital Ring System (PORS). What is a launch loop? 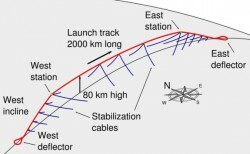 A proposed launch loop design is about 2,000 km long and 80 km high. 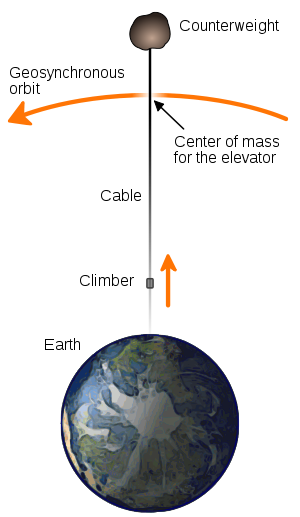 Such a loop would run from the surface in an curve peaking at 80 km above the Earth and then descending to the surface and looping back on itself to follow the reverse path leading back to the starting point. The loop would be in the form of a tube, known as the sheath. Inside the sheath enclosed and kept in a state of vacuum is another continuous tube, known as the rotor which is a sort of belt or chain. The rotor is an iron tube approximately 5 cm in diameter, moving around inside the sheath at 14 km/s. The vacuum will eliminate the resistance that would otherwise be caused by air drag. When the rotor is at rest, the loop stays at ground level. However, when the rotor is accelerated up to speed, the loop curves to form an arc with a peak of 80 km over the Earth’s surface. The sheath forces the loop to follow a curve steeper than the rotor’s natural ballistic curve, which, in turn, exerts a reactive centrifugal force on the sheath, holding it aloft. The loop would have to be anchored to the ground in order to remain at a fixed height. Once raised, the structure would require continuous power to overcome the energy dissipated, since there is no such thing as perpetual motion, even in the most efficiently designed systems. Additional energy would be required to power any vehicles that are launched from the loop. To launch, vehicles climb the cable until they reach the West station loading dock at 80 km where they are placed on the track. 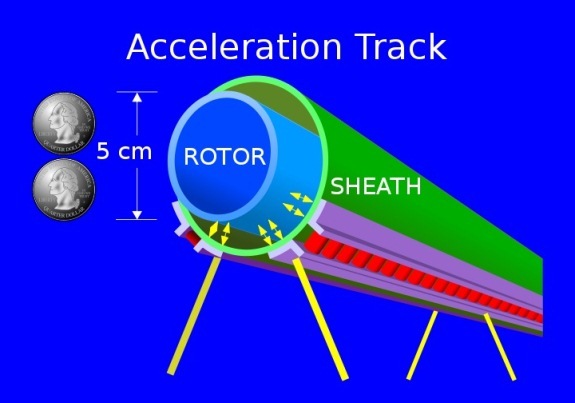 The payload applies a magnetic field which generates eddy currents in the fast-moving rotor. 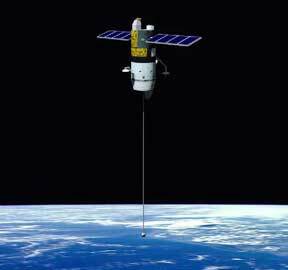 This both lifts the payload away from the cable, as well as pulls the payload along with 3g (30 m/s²) acceleration. 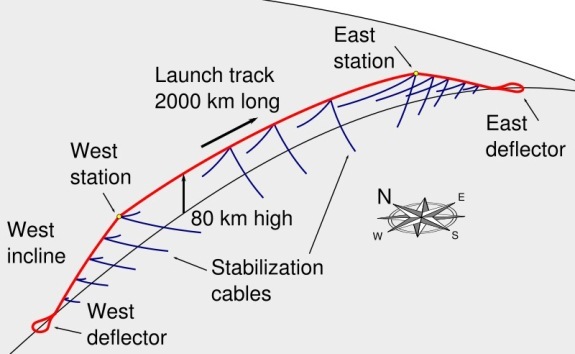 The payload then rides the rotor until it reaches the required orbital velocity, at which point it leaves the track and is propelled into space. A second part to this article will deal with the advantages and disadvantages of a launch loop.